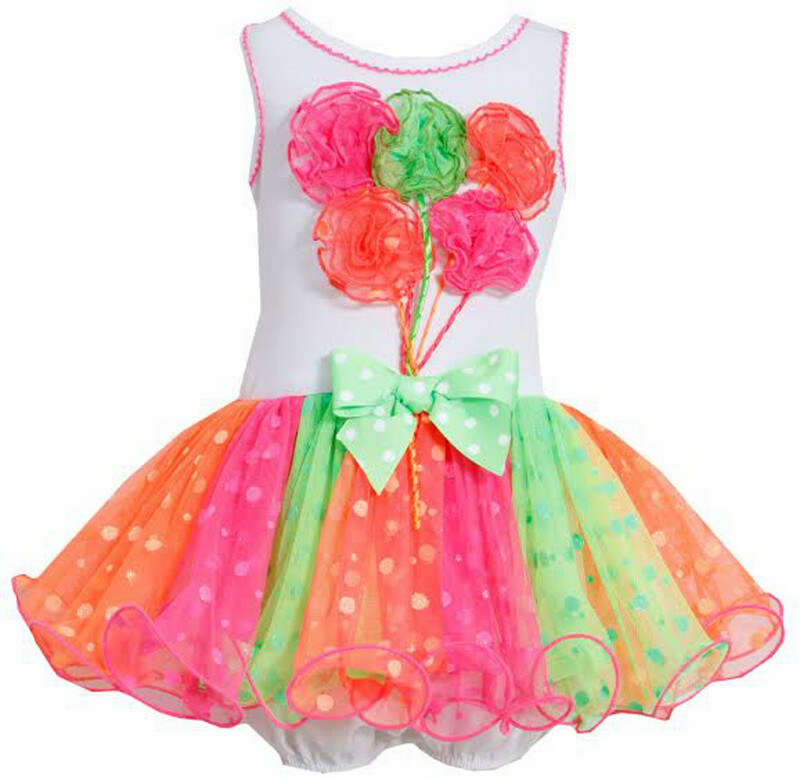 This super cute and fun colorful One-Piece Birthday Tutu Dress is perfect for that special Birthday! White bodice with 3D ballon applique. The multi colored attached tutu has fun polka dots. Your little princess will simply feel comfortable in it!